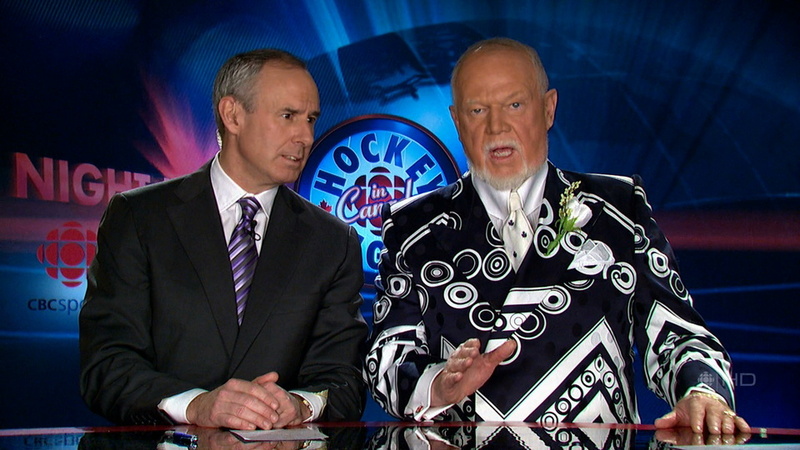 Bonus points this week for Ron’s jacket. 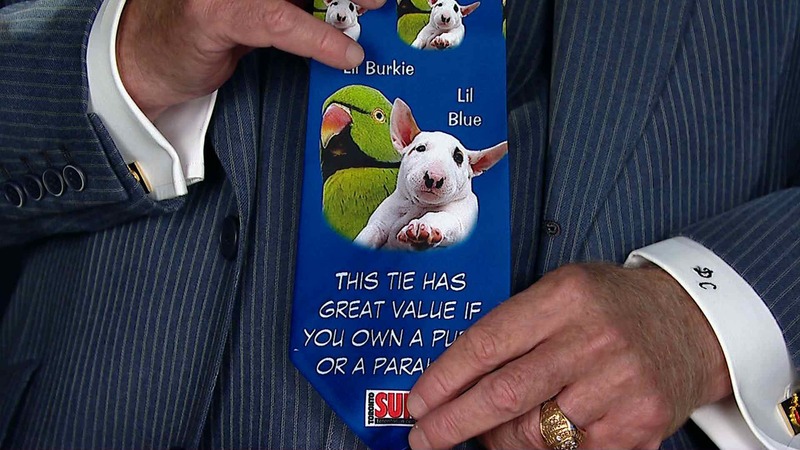 We’ve seen both this jacket and this tie before, but not combined together like this. 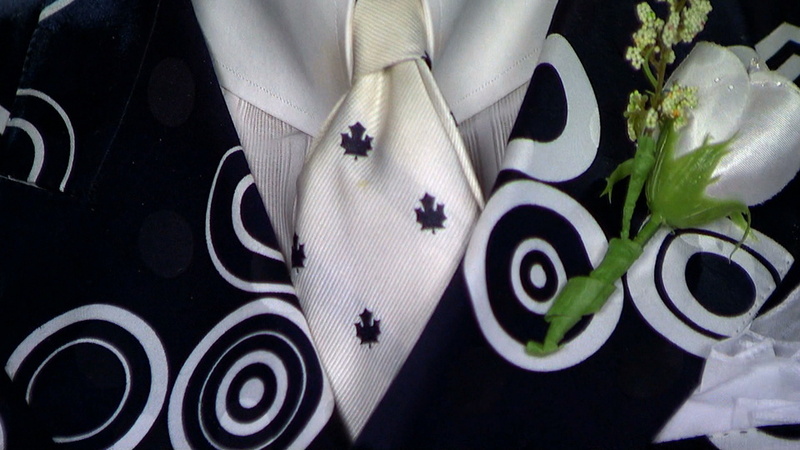 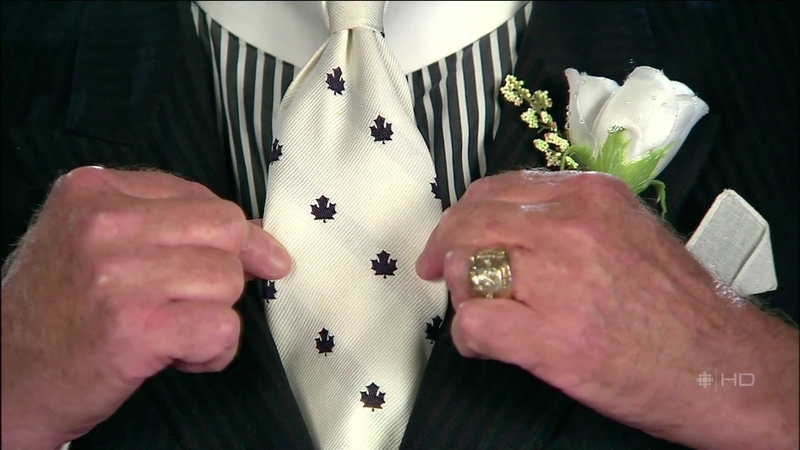 I’m not sure the blue maple leaves (or leafs, whichever) on the tie go well with the black, white, and black suit jacket. 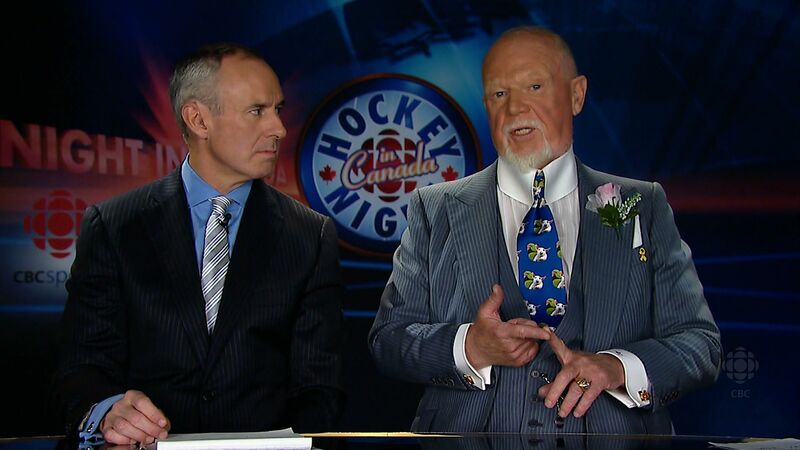 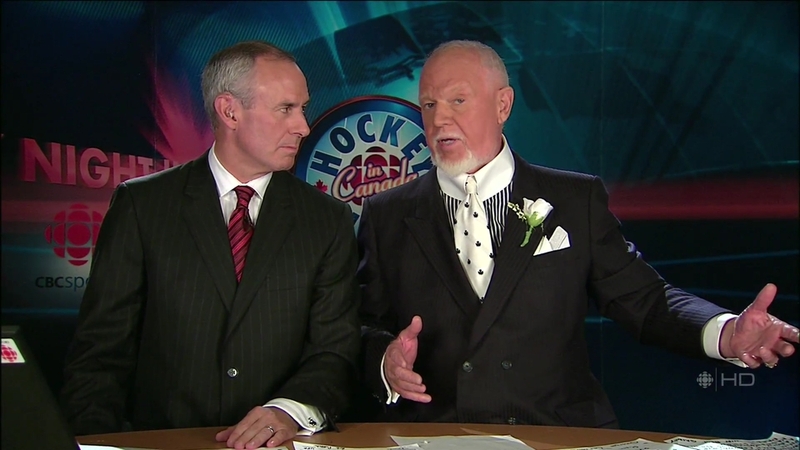 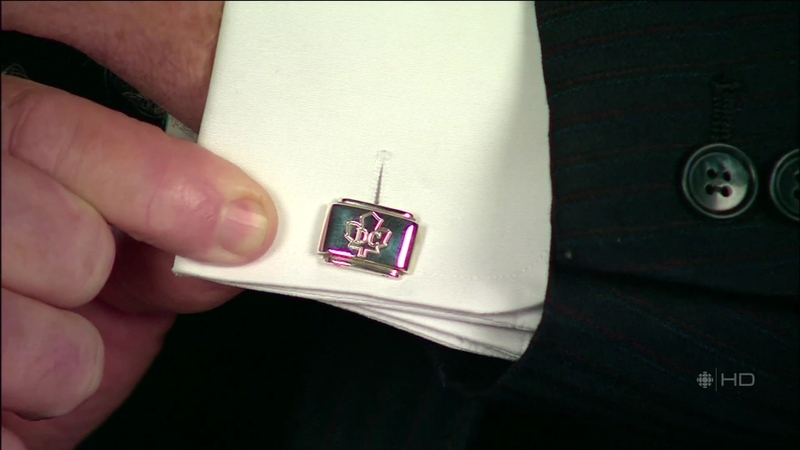 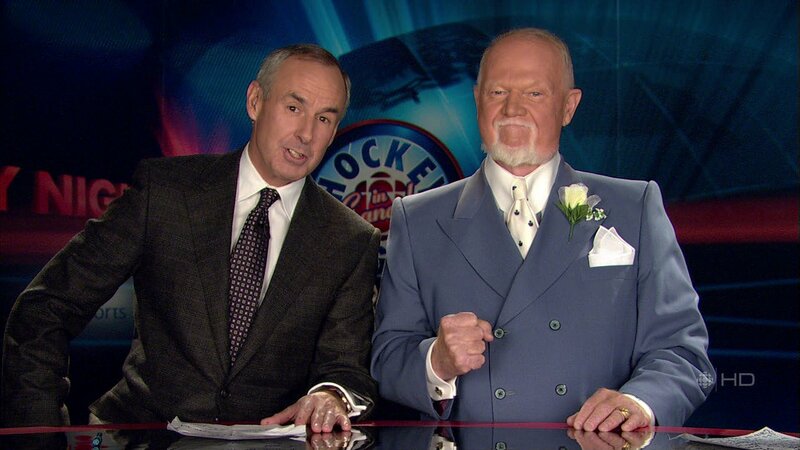 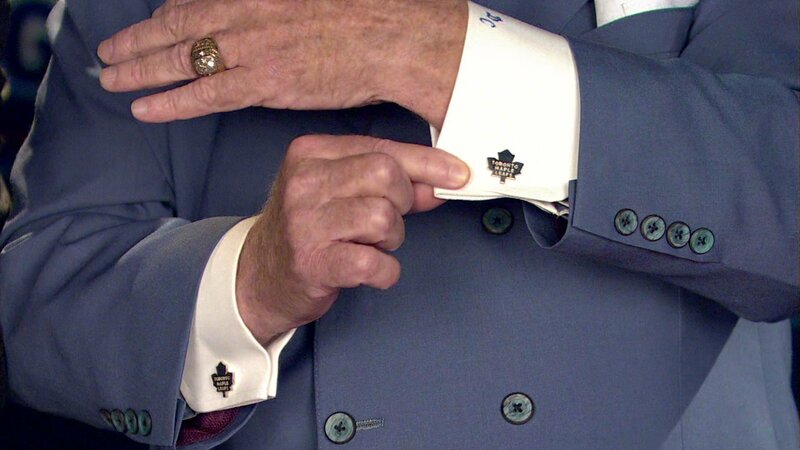 Grapes seems to be having a little trouble matching his jackets and his ties lately—let’s hope, for the sake of fashion and hockey lovers everywhere, that he gets back on track quickly.